After years of communicating with physicians, we’ve learned a few things about them. They’re supremely devoted, exceedingly goal-oriented and wary of sales and marketing. Most of all, they’re busy. We needed to bring all of those insights to the table when creating a series of reports focused on collaboration and medical advances. 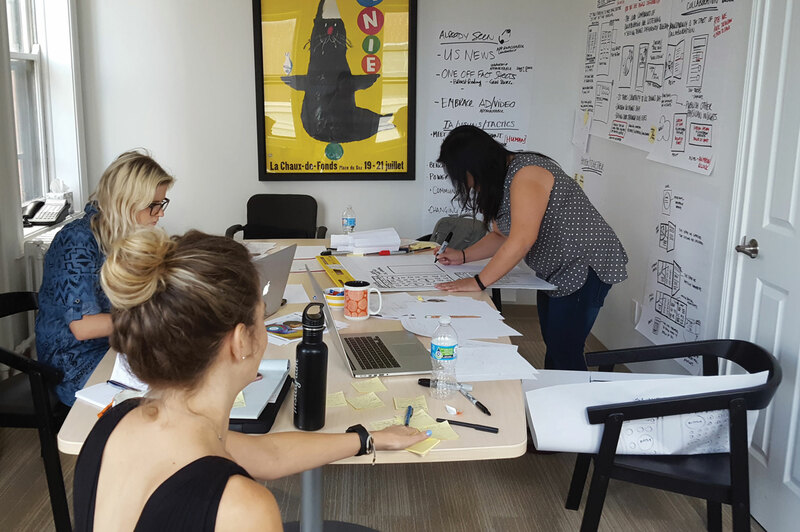 At the outset of the project, we hosted a concept co-creation session with our digital partners, Barefoot Proximity. The report’s print and digital versions needed to be a seamless experience and fit within existing marketing themes. The all-day session yielded a strong collection of winning concepts in an efficient amount of time. Busy physicians typically spend little time with a piece like this, but the information can be critical to their practice. We changed the printed format from a much longer booklet to a roll fold, condensed articles, and added more data for a more scannable experience. For piqued interests, print linked to the online version with longer-form articles and videos. Themes of collaboration and questions led every piece in the series. 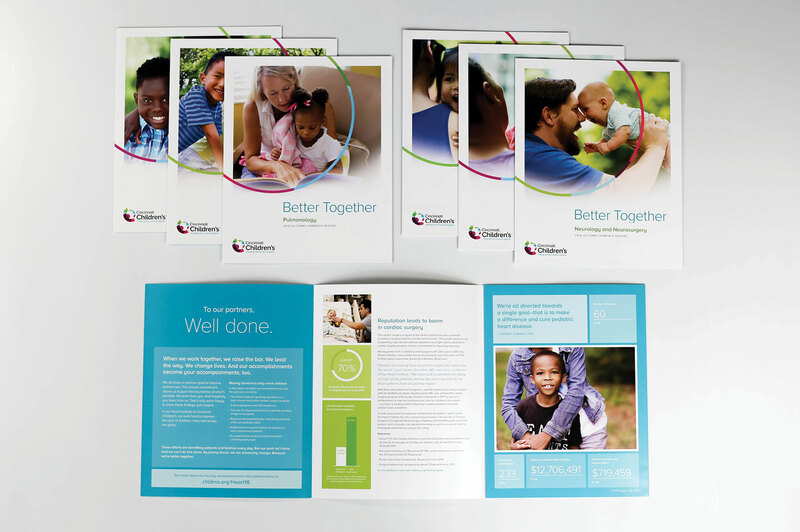 We also carried the templated format through 7 reports for 7 specialty divisions. 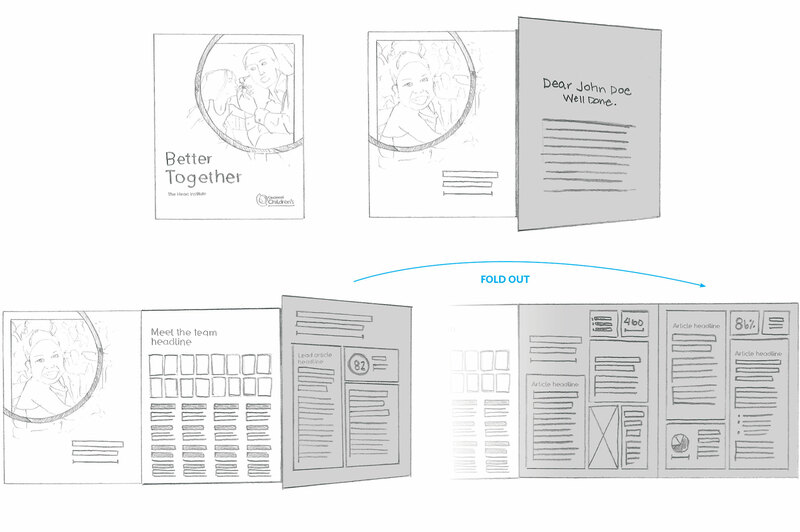 The modular, flexible format allowed us to customize content without completely redesigning each piece.